Online gift cards make a wonderful gift for anyone who can’t visit our lovely boutique in person. They are available in your choice of denomination and may be emailed to a recipient you select. *Please note, online gift cards may be used online only and are not for use in our boutique. For questions, please contact us at 1-248-814-7400 during business hours or via our contact form. 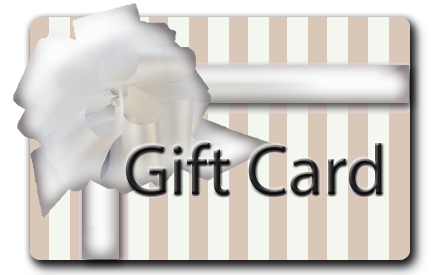 For in boutique gift cards, please click here.